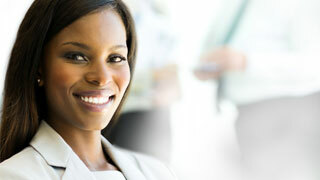 Women’s stepping stone to the corporate boardroom? It is well known that there is a real shortage of women in corporate boardrooms today. For example, only one in five board members at S&P companies are women. To understand the gender composition of corporate boards and the role technology plays in the careers of female board members, Accenture examined women’s representation on the boards of more than 500 Forbes Global 2000 companies in 39 countries. The research found that female members of corporate boards of directors are nearly twice as likely as their male counterparts to have professional technology experience. In seven of the ten most-represented countries in our study, the percentage of female board members with technology experience exceeded the percentage of male board members with such experience. In all but two industry sectors, capital markets & diversified financials, and insurance (both part of the financial services sector), the percentage of women directors with technology experience exceeds the number of men with technology experience. These findings suggest that at least at the highest levels, companies put a premium on female executives with professional technology experience. As digital transforms virtually every industry in every country around the world, companies increasingly recognize that, without greater technology knowledge guiding strategy and operations, they’re going to have trouble anticipating the forces shaping their industries. Directors need a robust understanding of technology, and, as companies seek to achieve gender balance on their boards, professional technology experience is a differentiator for women. Accenture research is proving that digital fluency is helping to close this gender gap and level the playing field for women in the workplace. Boards of Directors need deep insight into technology in order to set strategies. But in most bank boardrooms, technology expertise is still lagging. Although Accenture has improved recruitment and promotion rates for women, leader Ellyn Shook won't rest until she sees complete Parity.